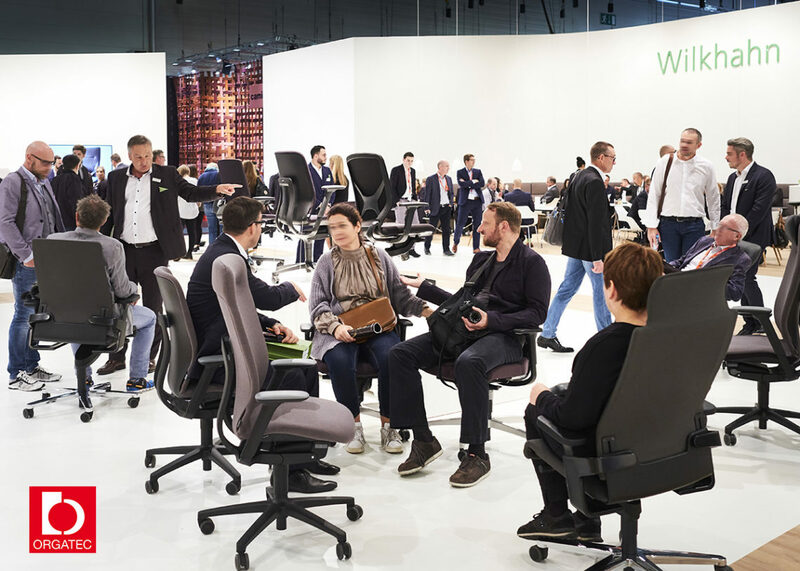 Wilkhahn featured ten new products, a stand with 1,000 sq m of floor space and counted 2,000 registered visitors – but the success of a trade fair can’t be measured in figures. 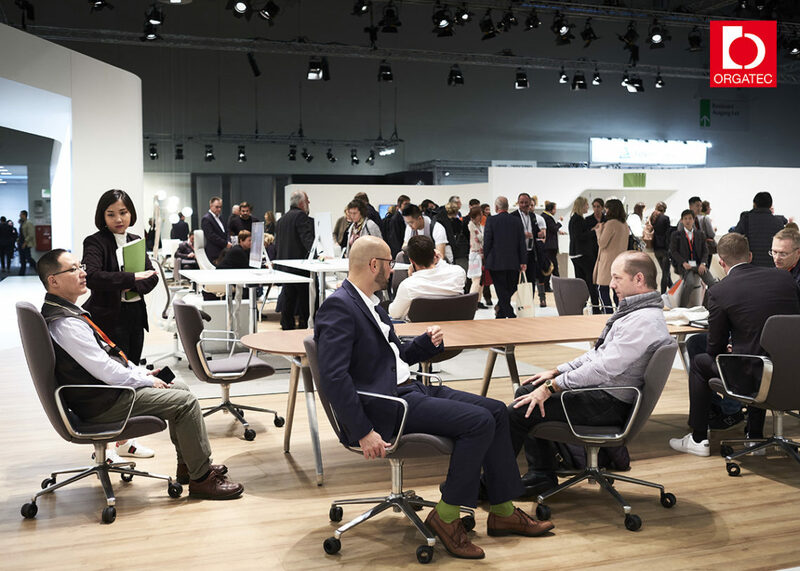 Even if this year’s Wilkhahn stand at Orgatec set lots of new standards in many respects, it’s always the subtle aspects that play the key roles. 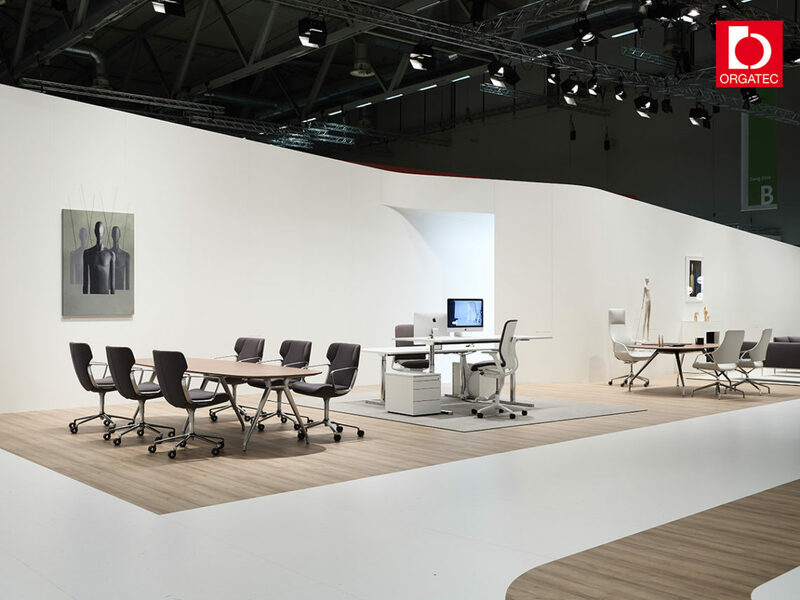 In 2018, the leitmotif of the Wilkhahn showcase was Office for Motion, which Michael Englisch, head of design and development at Wilkhahn, presented impressively on a generous-sized platform with lots of different scenarios. 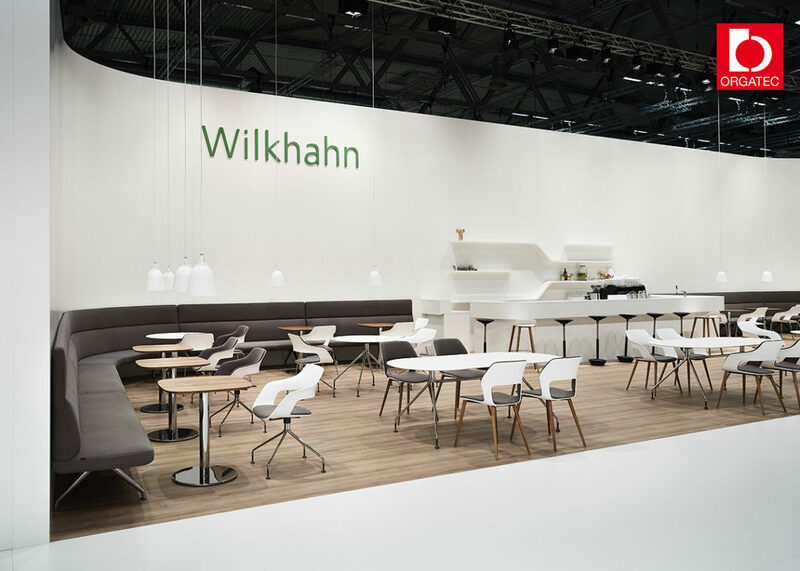 But while many new and classic Wilkhahn products were displayed in each of these settings, the actual star of the show, the integrative design concept, didn’t reveal itself until the showcase was viewed as a whole. 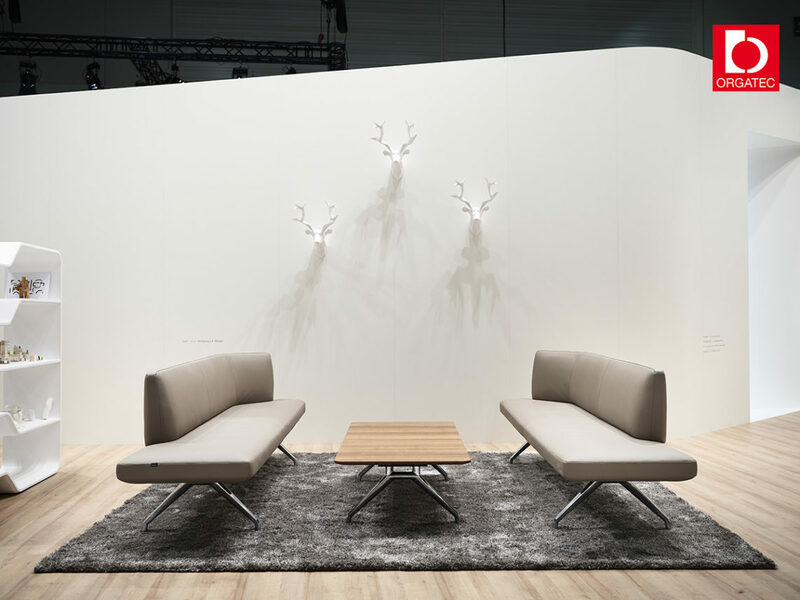 Englisch came up with this brainchild: it’s a design language that imperceptibly links all items of Wilkhahn furniture with each other and generates a level of self-similarity, which, despite the distinctive look of each object, delivers an appealing ensemble overall. 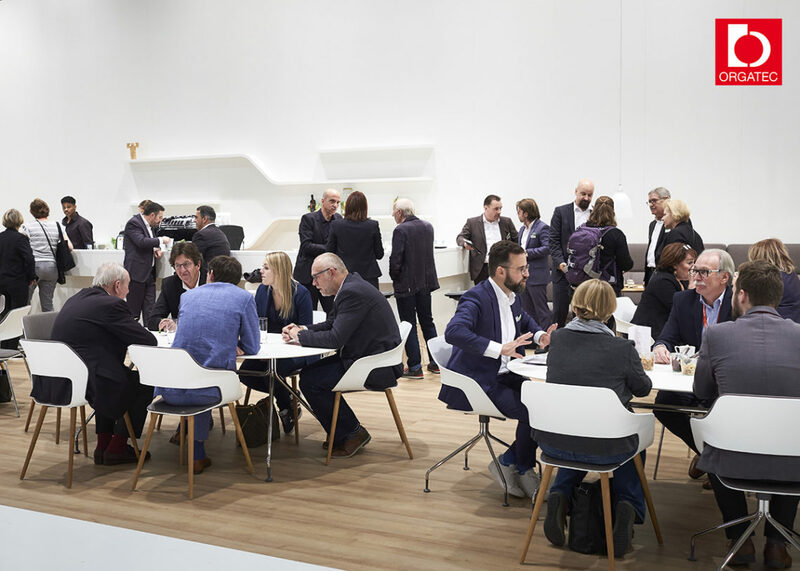 Wilkhahn settings at Orgatec 2018: Sitzbock pommel horse seat and Landing furniture to foster communication, Intra conference chair, Timetable Lift table system (with the Stitz sitting-standing stool and Stort shelving study), Metrik chair and Inline table prototype, Insit bench, AT, ON, IN free-to-move chairs, as well as the free-to-move-AT chair with the Travis table range (the OCCO conference chair is in the background). 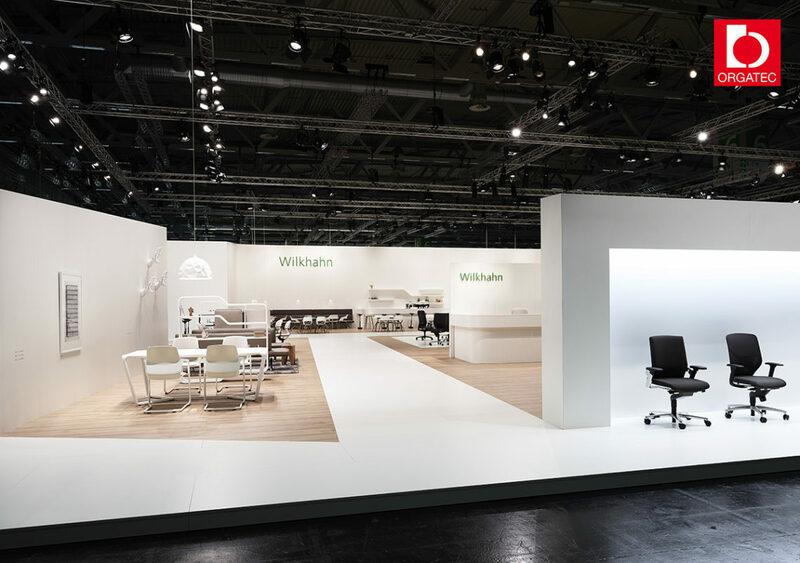 All Wilkhahn’s new products are designed along this principle and the concept’s particularly apparent in the seminal look of settings for project work: in this case, the modern and sculptural Metrik cantilever chair was combined with prototypes of the new Inline table (both designed by WhiteID) and studies for a new shelf and room divider family (STORT range, design Wilkhahn). 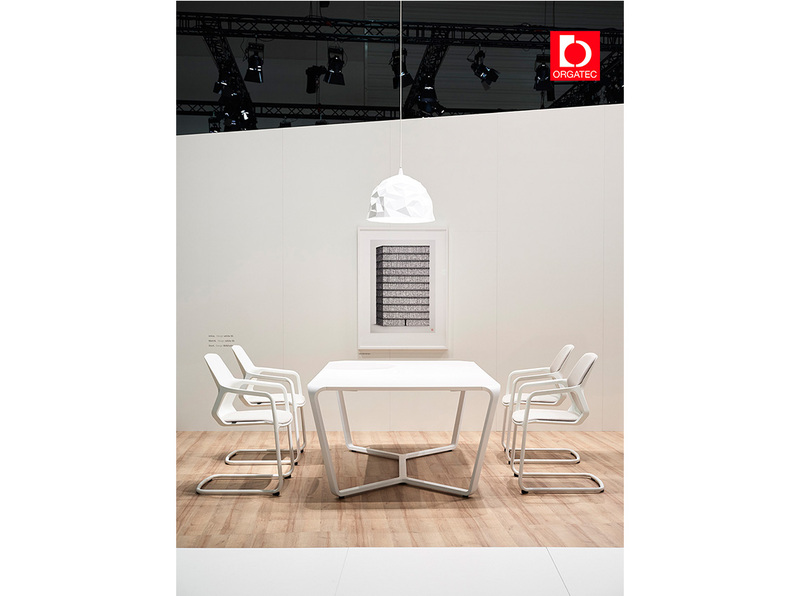 Wilkhahn’s broadly scalable Insit range (design: Wolfgang C.R. Mezger) transforms classic upholstered benches with backrests into a professional and ergonomically designed seating range for offices, collaborative spaces and areas to eat and drink in. The new and adaptable Versa table range, whose dynamic and contemporary form is a reference to the new working and management cultures, comes from the same designer. Similar characteristics apply to the Intra chair (design: Phoenix) whose synchro-adjustment and height-adjustment capability mean it can serve as a conference chair and lounger – and whose design has all it takes to become a management-team favourite. The Sitzbock pommel horse seat and Landing wall relief (both designed by RSW Rudolph Schellmann Webermann) are brand new, charming and surprisingly simple ways of promoting informal interaction. 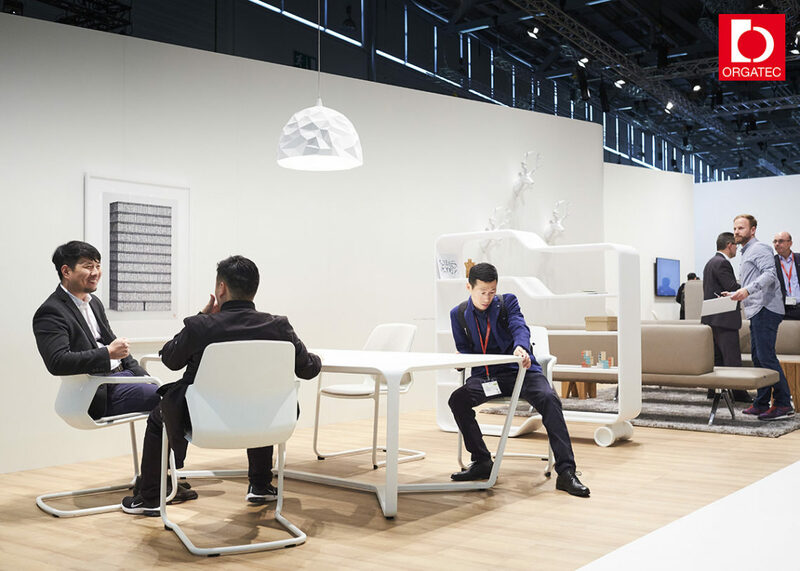 Both objects garnered design prizes during Orgatec: Landing was given the Innovation Prize by interior design magazine AIT, the Sitzbock pommel horse seat was presented with the Active Office Award and the people’s choice award in the bdia ausgesucht! competition organised by the Association of German Interior Designers. On the other hand, the new free-to-move AT office chair range is another example of the company’s desire to offer the world’s best office chairs in terms of well-being and health. 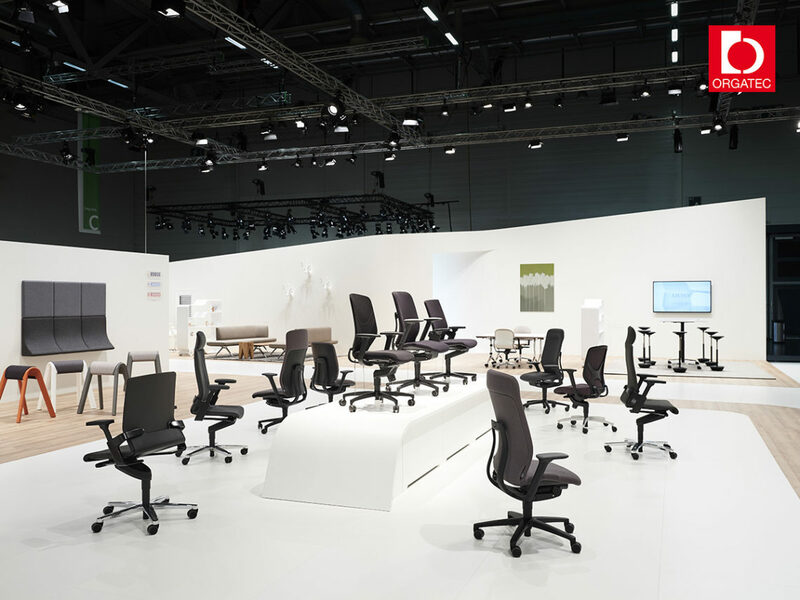 The Occo SC range doubles the function and design options offered by the Occo chair “kit” (design Jehs & Laub) to 196 different models. 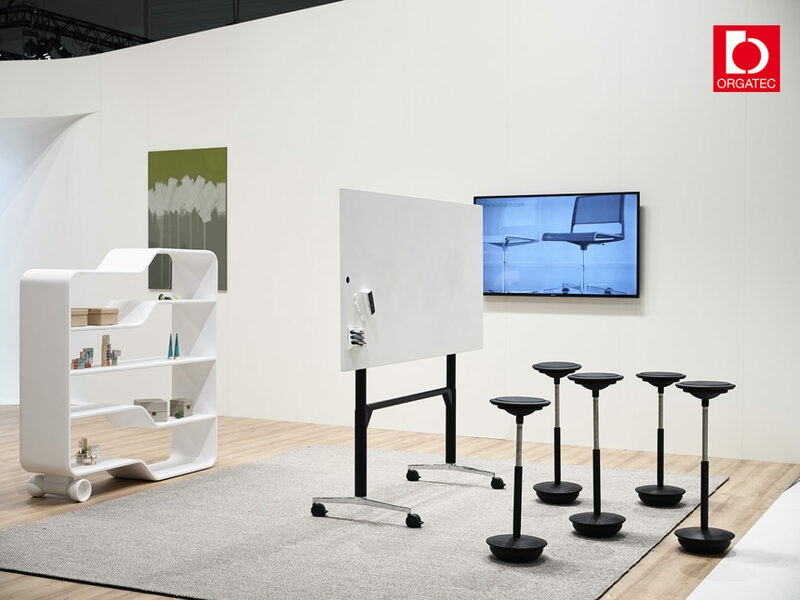 Last but not least, there was the mobile and electrically height-adjustable Timetable Lift table as an exceptional piece of furniture for innovation spaces (design: Andreas Störiko). The model coordinates perfectly with Wilkhahn’s dynamic table classics, is destined for the most discerning of customers and available in 16 formats. It adds sitting-standing momentum to creative development teams and can also serve as a whiteboard, projection screen and magnetic board. 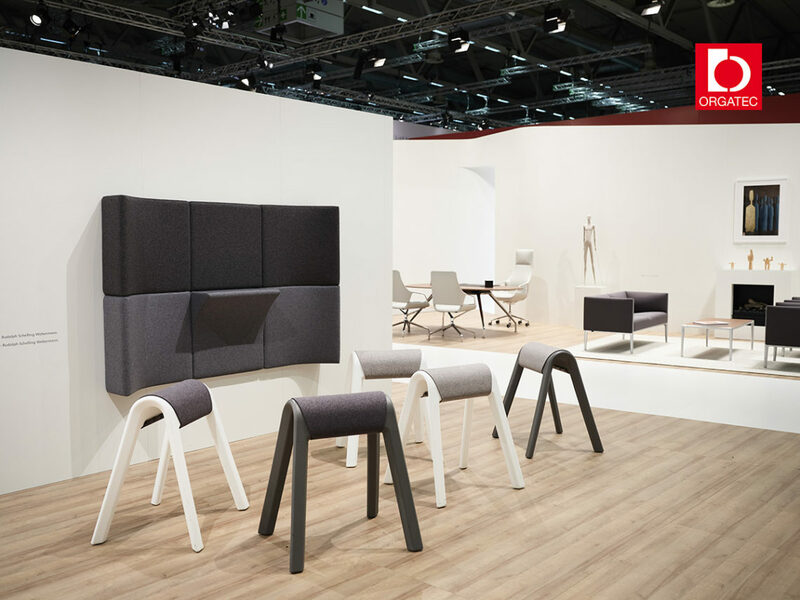 In addition to the integrative design language, all new Wilkhahn products have one other thing in common: they’re a response to the challenges of the digital transformation, for which Wilkhahn’s creating a working environment that combines variety with corporate identity, concentration with collaboration and professionalism with a feeling of well-being. 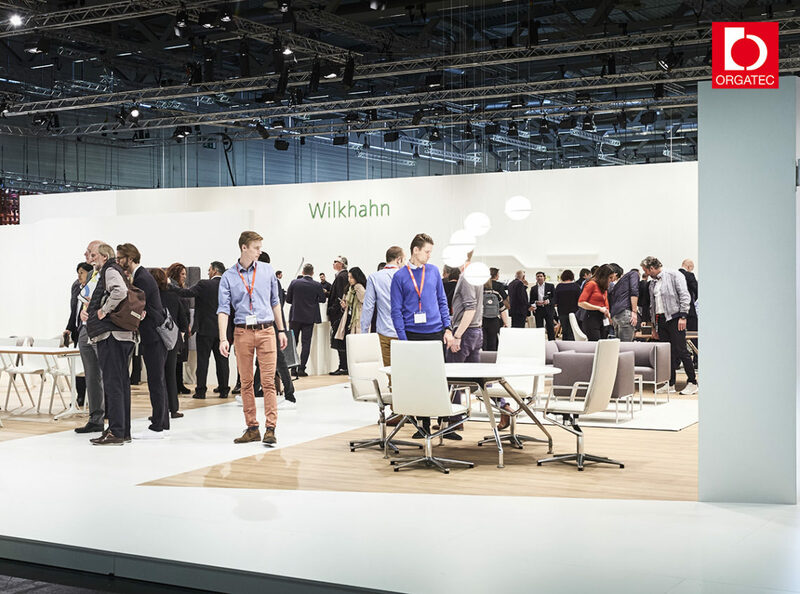 Click here to download a brochure that presents all the new Wilkhahn products in detail. Click here for more about the AIT innovation prize. Click here for more about the Active Office Award. 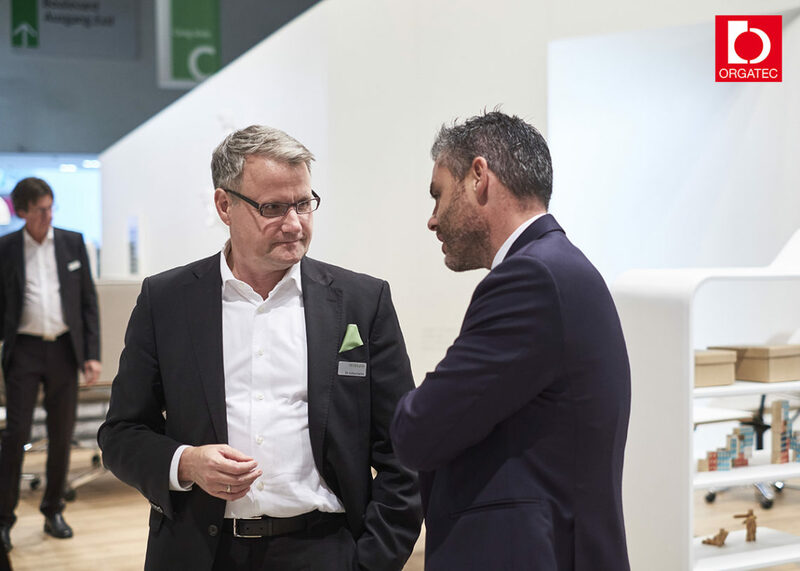 You can find out more about Orgatec here. For more info about the AT free-to-move chair, watch the making-of film.